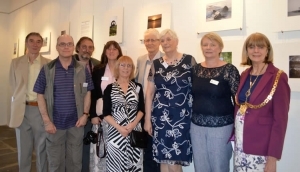 Members of the Carers Camera Club, have their photography skills exhibited. A group of unpaid carers who enjoy photography are giving a close-up of their creativity and caring roles through their first exhibition. Seven carers, who participate in our Carers Camera Club, have over 40 of their pictures on display in a photography exhibition at Courtyard Arts in Hertford, that is on until June 27th.